Woah! I just had one of the coolest days ever! 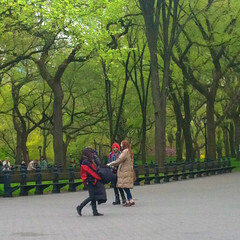 Fun Stuff that Happened: Saw the reddit /r/doctorwho gang across the way and cheered at them with my sketchbook, two guys thought that Jay-Z was there and walked across the designated area right before shooting started in the area after the fountain, the Doctor is the new Keeanu with the Central Park Birds, Matt Smith gave Karen Gillan a sweet peck on the forehead while she was all teary (!!! ), Several really nice French Tourists took amazing photos of the event, but had NO idea what it was and asked me (I guess I seem like I speak French? lol), and I explained to them what Doctor Who is. 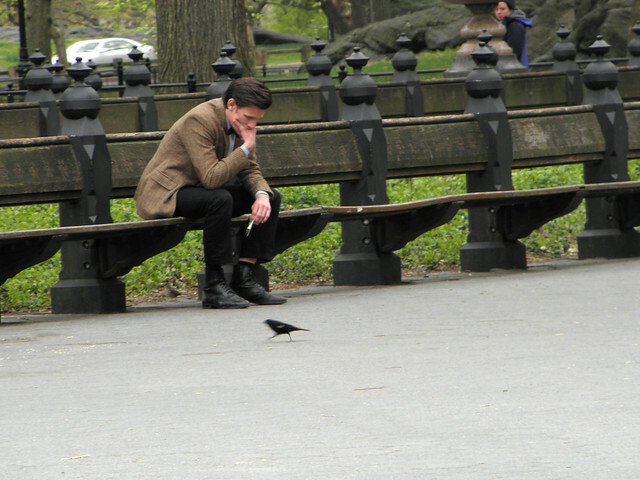 Rumors I heard: there are angels, it’s the season finale, there is another day of filming yet. So now here are all the pics I took: Apologies for they are not 100% the best… First they were at the Bow Bridge and then they were at the Bethesda Fountain. CLICK ON MY FLICKR SET LINK for all my photos! 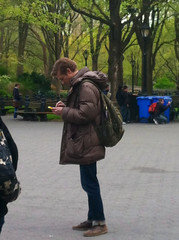 MORE (Better) PICS: some really cool ones check out: i09 Set Photos, on location here, here, here, here, here, and here filmtweets. 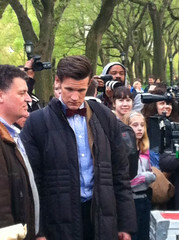 (Oh and the hashtag #dwsr link ) edit: Here too (thanks for the feature!) Edit#2: here, here more photos. And BBC official here. SO yeah… I *love* living here in NYC!! What. A. Blast!